Effective August 28, 2016 at 12am PST, and in conjunction with the Oregon Department of Forestry issued closedown orders, invoking Industrial Fire Precaution Levels (IFPL), and in accordance with ORS 477.625, ORS 477.670, and OAR 629-043-0070. This order states that no activities in violation of the current IFPL are permitted at any time on all lands protected by the Western Lane and East Cascade Districts of ODF, and all forestland within one-eighth mile thereof. SLCFR will honor, and go by the current IFPL for Western and Eastern Lane Districts of ODF at all times in areas jointly protected by ODF Western Lane, ODF Eastern Lane, and SLCFR to avoid conflicting IFPL level changes. Please check with the ODF office in your area. 1. No open flames are allowed out of doors, including no campfires, warming fires, cooking fires, or ceremonial fires not within a fire pit. Gas and briquette barbeques are allowed, but are restricted to use on hard, non-flammable surfaces such as patios, driveways, gravel, or green irrigated lawns. 2. No power equipment such as mowers, chain saws, stump grinders, etc. may be operated on or near dry grass, brush, or trees at any time between the hours of 11am and 7pm, EXCEPT that mowing of green, irrigated lawns is allowed at any time. 3. No smoking outside of buildings or vehicles in any area with dry grass, brush, or trees. 4. No operation of welding or metal cutting equipment out of doors in any area with dry grass, brush, or trees. 5. All logging operations, including power saws, cable yarders, and tractor/skidder, feller-buncher, forwarder, or shovel logging operations are prohibited outside of the current IFPL for Western and Eastern Lane ODF Districts. 6. All construction operations involving dozers or graders are restricted to streets or roads, developed building sites, or other areas of non-flammable surfaces except those allowed within the current IFPL for Western or Eastern Lane ODF Districts. Those construction operations in dry or dead grass, brush, or trees must have fire protection capabilities on site. 7. Any other spark-emitting operation not specifically mentioned, is prohibited out of doors in areas containing dry grass, brush, or trees. These additional restrictions will continue until such time as weather conditions permit the safe easing of the restrictions by the Fire Chief of SLCFR as described specifically within the city limits of Cottage Grove, Creswell, and those areas within SLCFR District boundaries, not protected by Western or Eastern Lane Districts of ODF. Effective at 1100 AM on August 26, 2016, and in conjunction an Oregon Department of Forestry issued closedown order, invoking Industrial Fire Precaution Order (IFPL) Level 4, in accordance with ORS 477.625, ORS 477.670, and OAR 629-043-0070. This order states that no activities are permitted at any time on all lands protected by the Western Lane and East Cascade Districts of ODF, and all forestland within one-eighth mile thereof. Effective at 1100 AM on August 25, 2016, and in conjunction an Oregon Department of Forestry issued closedown order; invoking Industrial Fire Precaution Order (IFPL) Level 3, in accordance with ORS 477.625, ORS 477.670, and OAR 629-043-0070. This order states that no activities are permitted at any time on all lands protected by the Western Lane and East Cascade Districts of ODF, and all forestland within one-eighth mile thereof. 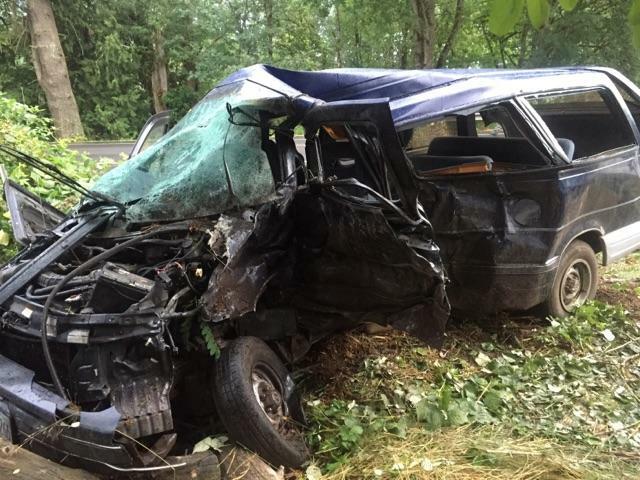 South Lane County Fire & Rescue crews responded to a two-vehicle Motor Vehicle Accident at Layng Rd and Row River RD on the afternoon of July 8th 2016. The involved vehicles were a mini-van and full-size pickup towing a horse trailer. A total of twelve patients were transported to Riverbend Hospital. One patient was taken to Rivebend by LifeFlight helicopter. One occupant of the minivan died at the scene. Lane County Sheriff’s Office is investigating the accident with assistance from the Oregon State Police.